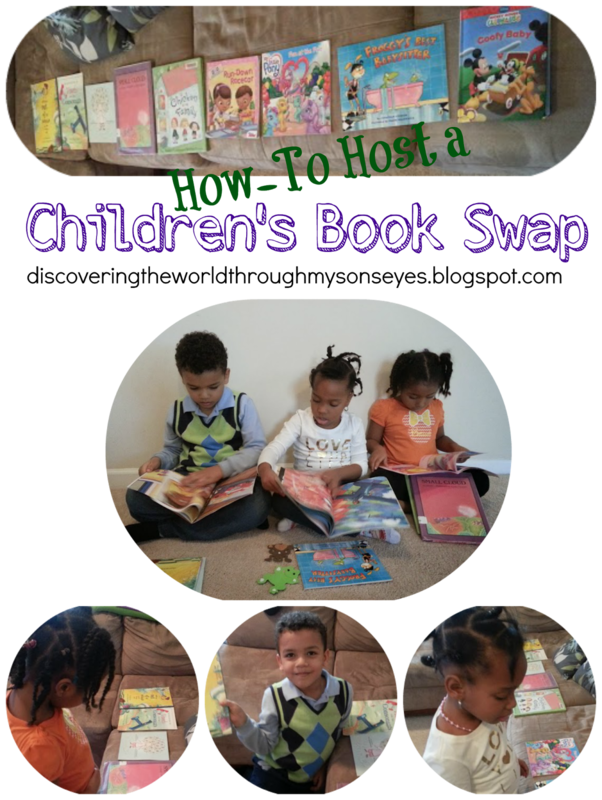 Hosting a children’s book swap is quite simple! In a recent play date, I asked the moms to go over their children’s books. Together with their kids they would look for books that they no longer read or they had lost interest in. The goal was for each child to bring 3 books, and leave with 3 books that were ‘new’ to them. My girlfriend laid the books out on the sofa and one at a time they would pick one until they all had 3. We did one at a time so we wouldn’t have the “I wanted that one!” When someone else picked a book. Luckily all my kid’s friends are within the same age range. So making sure the books were age appropriate books wasn’t a problem because all of his friends are within the same age range. My son was very excited to come home with three “new” books that we read during bedtime. 🙂 This was such a hit that I’m planning a larger scale children’s book swap. Have you hosted one? Would love to know! Comment, pin or share!